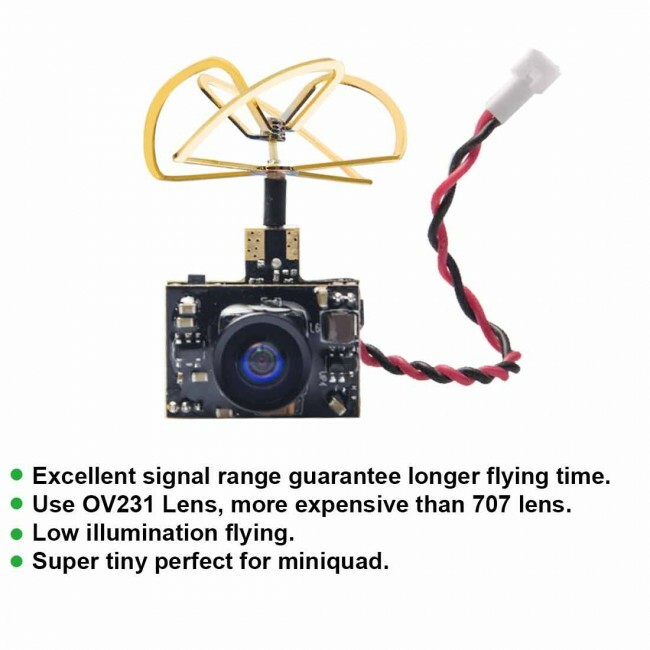 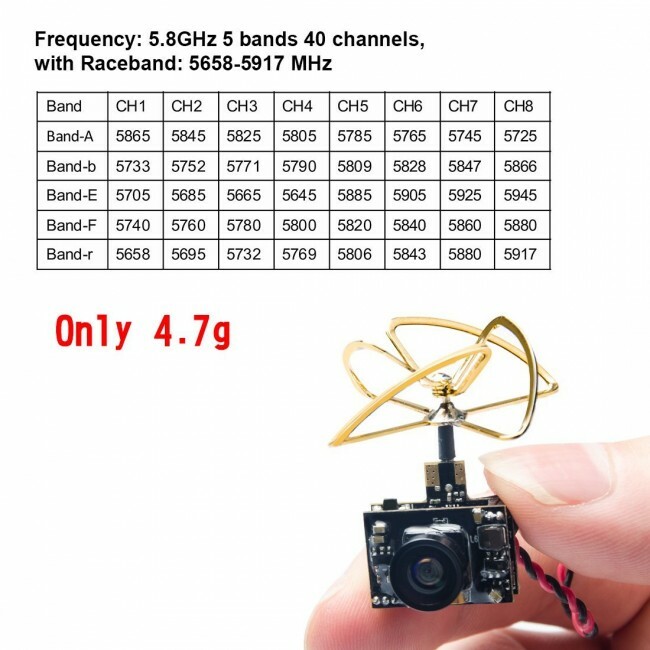 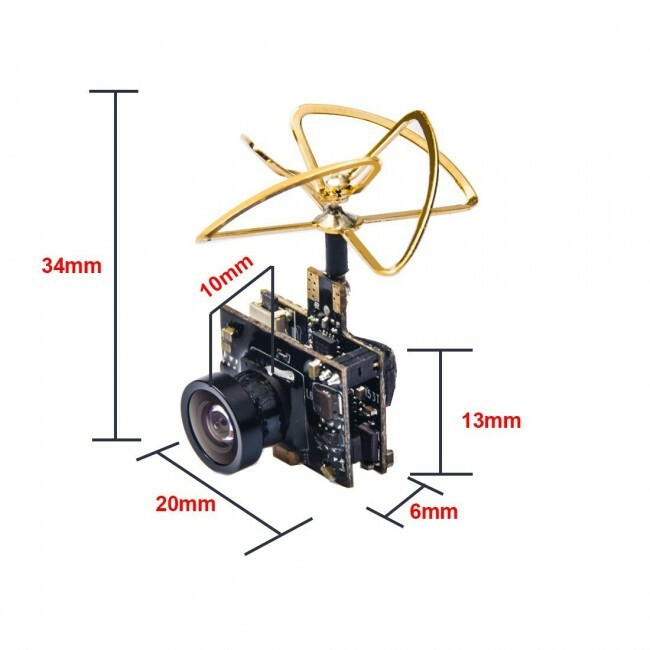 Pretty impressive with the signal range, this camera have an excellent image and is so tiny, really perfect for a microquad. 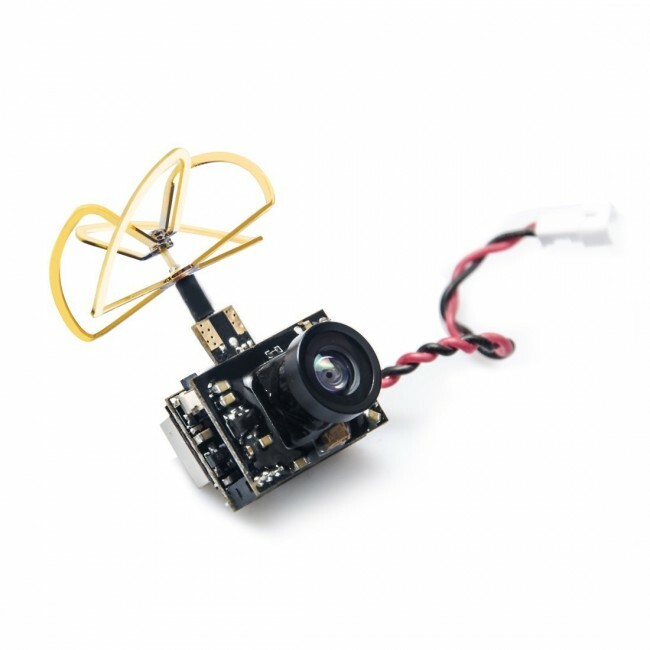 Switchable power means more pilots can fly together without overpowering each other on close frequencies. 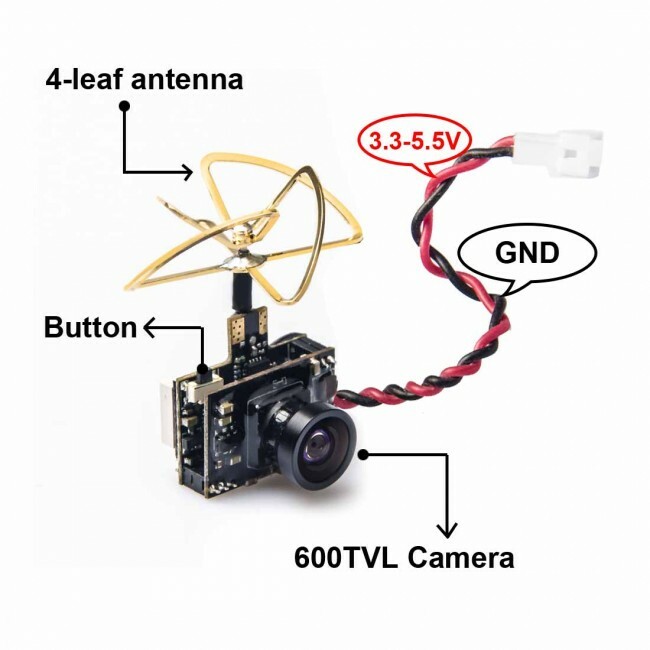 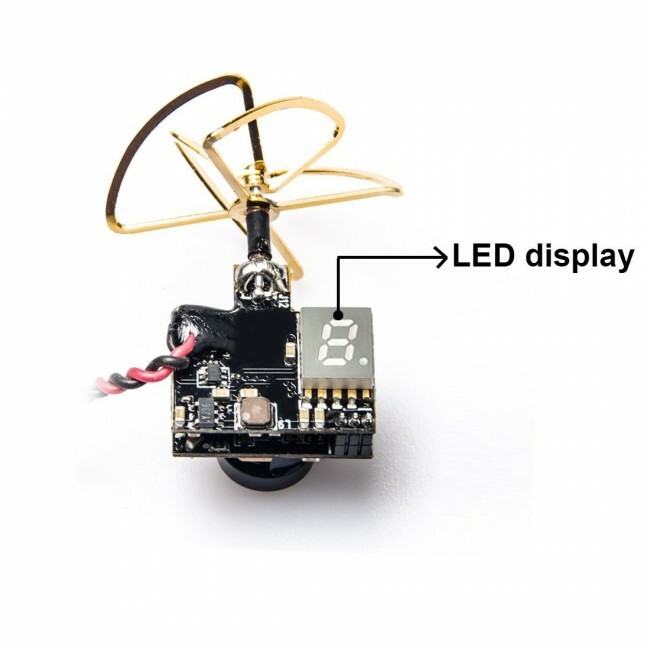 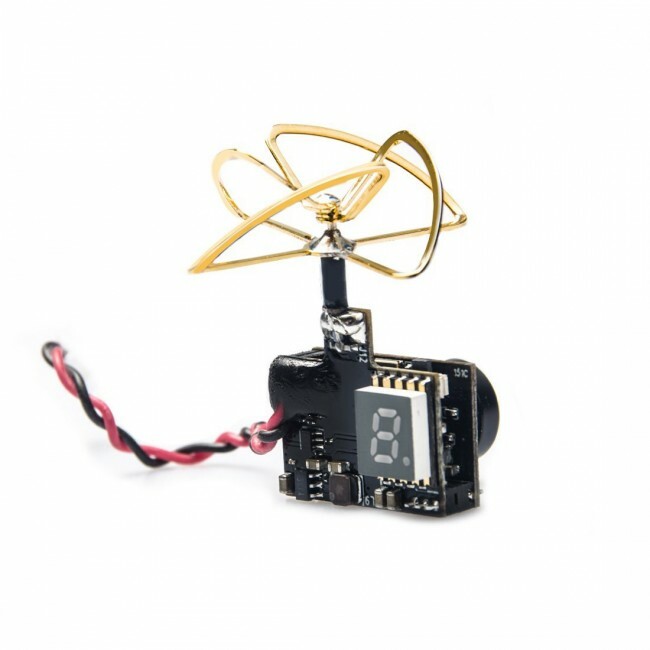 Nickel-plated 4 Leaf Antenna , RHCP circular polarization clover to Antirust and get strong signal.Installs in seconds.